The Atrebates were located in the far south of England, along what id now the Hampshire and Sussex coastline. One thing that is unclear about the Atrebates, is their origin. 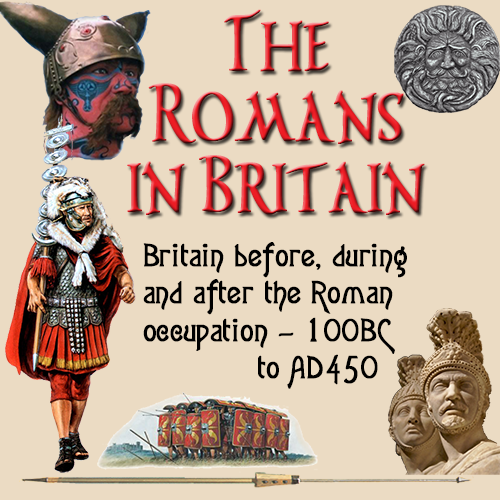 Like so many tribes in Britain, they had a counterpart tribe in Gaul It is not recorded whether the Atebates began their existence in Britain end expanded to Belgic Gaul, or vice versa. As the majority of tribes began life in Europe before expanding to Britain, it seems likely the latter is the most reasonable assumption. Because of their location in Britain, the Atrebates were one of the more successful tribes and also one of the most civilised. For many years before the Romans arrived, they had been trading with the tribes in Europe. Indeed when the Romans took Gaul, the Atrebates saw this as a chance for more trade and so increased their output of fine cloths, hunting dogs and items that would be useful, especially to the military. Having contacts so close accross the water enabled them to take on new ideas, which gave them the advantage in developing their culture and technology. Calleva Atrebatum - The Capital (Silchester, Hampshire) The oppidum at Calleva (Silchester) developed in size and importance to become the main centre of the Atrebates tribe. (Guildford -(Surrey) - Probable Roman settlement on the Pilgrims Way south-east of Calleva. In 55 and 54 BC, Julius Caesar sent Roman legions to Britain on a misson that were regarded more as expeditions that full blown invasions. Commius took a prime role against Caesar by acting as an ambassador for the British tribes who opposed the Roman general. Commius later turned against his former friends and led the Atrebates in an unsuccessful attempt to overthrow Vercingatorix during the Siege of Alesia in 53BC. Now the enemy of Caesar, Commius fled the continent in 51 BC, but still kept his links with Britain open. Frontinus tells us how Commius escaped from Caesar by devious means. It is not surprise that Caesar omited these deatils rom his accounts of his escapades in Britain. Commius the Gaul Probably eminated from the Atrebates tribe in Gaul He became an aide of Julius Caesar, possibly sometime during 56BC, and helped the Romans during both expeditions to Britain, where in 54BC he persuaded King Cassivellaunus to succumb to the Romans. In 51BC he joined forces with other Gaulish leaders in an attempt to overcome Vercingetorix during the siege of Alesia. His Atrebatean warriors along with the other Gaulish tribes were defeated by Caesar. The following year, realising that there would be no escape from Caesar's retribution, he came to terms with his legate, Marcus Antonius (the famous Mark Antony), and offered some of his own family as hostages. Not satisfied that he could trust Antony, he fled to Britain and vowed never to have anything to do with the Romas again. He founded a dynasty among the existing Atrebatean settlers. Commius the Younger Commius the Younger, succeeded his father Commius the Gaul in 35BC and ruled until 20BC, when he was succeeded by his own sons, first Tincommius, then Eppillus and afterwards, Verica..
Tincommius The eldest son of Commius the Younger, with whom he jointly ruled for a number of years until his father's death 20BC. It is possible that during the period of joint rule, Tincommius governed the southern half of the Atrebatean territory from Noviomagus, where he stayed in the south. His brother Eppillus governed the territory north of Calleva, and was to be the downfall of Tincommius, for it is from this time that the oppidum at Calleva developed into the main centre of Atrebatean power, under the rule of Eppilus. Around 5BC, it would appear that diplomatic initiatives were instated between Tincommius and the emperor which were bonded in a treaty. These pro-Roman attitudes, in direct opposition to those of his father, possibly caused a break in the Atrebatean upper classes who moved north and founded Dobunni. Before 7AD was overthrow in a coup launched by his younger brother Eppillus and was deposed. He travelled to Rome to plead for reinstatement before Emperor Augustus. This request was refused as Augustus was in no position to mount a military campaign in Britain at this time. Not only was Timcommius cast out of Britain, Eppillus was officially recognised as king by Rome. Eppillus A son of Commius the Younger. His elder brother Tincommius took the Atrebatean throne following a period of joint rule after their father's death 20BC. Tincommius continued to rule the kingdom from Noviomagus on the south coast, and left his brother Eppillus to govern the northern tribal lands from Calleva. Eppillus appeared to play the subordinate to his brother, but this was merely a ploy to lull Tincommius into a false sense of security. In 7AD he conspired to remove Tincommius from the Atrebatean throne, forcing him to flee to Rome to ask Emperor. Augustus to give him back his throne..Augustus did not want to bother himself with the situation, however, and recognised Eppillus as king of the Atrebates. His reign over the Atrebates was short, and around 15AD he was deposed by his younger brother Verica who possibly raised support among the upper members of the Atrebates. Eppilius escaped to Kent, where in turn, he overthrew either Dubnovellaunus or Vosenios as king.